California Commits To 100% Clean Energy By 2045 - Joe.My.God. California Gov. Jerry Brown on Monday signed a bill requiring the state to source electricity from exclusively carbon-free sources by 2045, a move aimed at combating climate change that clashes with U.S. President Donald Trump’s pro-fossil fuel policies. The law makes California the largest global economy to commit to 100 percent clean energy. Hawaii is the only other U.S. state to set a similar goal. 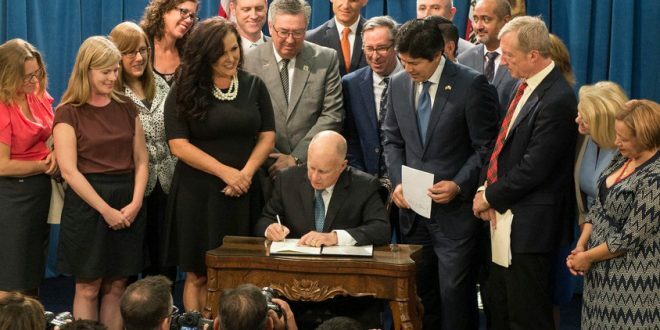 “There is no understating the importance of this measure,” Brown said at a signing ceremony in Sacramento surrounded by state lawmakers.